Gozo’s largest music and arts festival Sunscape 2017 returns this summer with an eclectic mix of musical performances, art expos, and holistic activities. 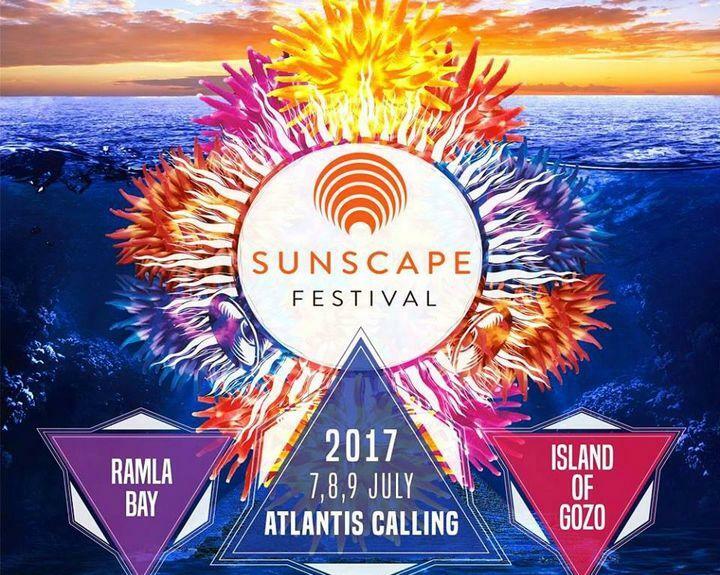 Organised at Ramla Bay, Sunscape will run for 3 days and nights from the 7th to the 9th of July. The organisers said that “known for it’s musical diversity creative activities, the festival will host musical performances as wide ranging as reggae, house and drum & bass to improvisational jazz and alternative live acts. There will also be a variety of collaborative workshops and holistic therapies organised, with unique activities including surfboard yoga, shadow theatre, and slacklining. “Sunscape, now in it’s 4th edition, has grown and evolved over the years while remaining true to it’s spirit for fun, sustainable living, cultural diversity, and self-development,” said Sunscape founder Vee Borg. “This year we have put a lot of energy into creating new areas with innovative and interactive art activities such as live painting, body art and creative workshops, inviting everyone to get involved and choose their own adventure,” said Borg. The organisers said that some of the festival areas will be open to the public with no admission charge, offering holistic therapies including message, reiki, and meditation, as well as a colourful children’s play area complete with animators. An artisan market place selling unique handmade arts and crafts will also be accessible to non-ticket holders. Please see facebook.com/sunscapefestival and www.sunscapefestival.eu for more information, to book tickets.